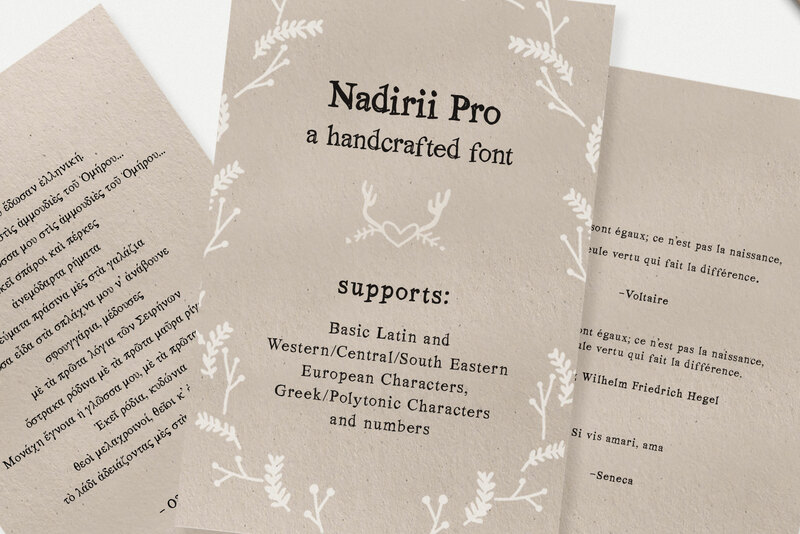 Nadirii Pro Font Handcrafted is a display font with support Greek / Greek polytonic and extended Latin characters. 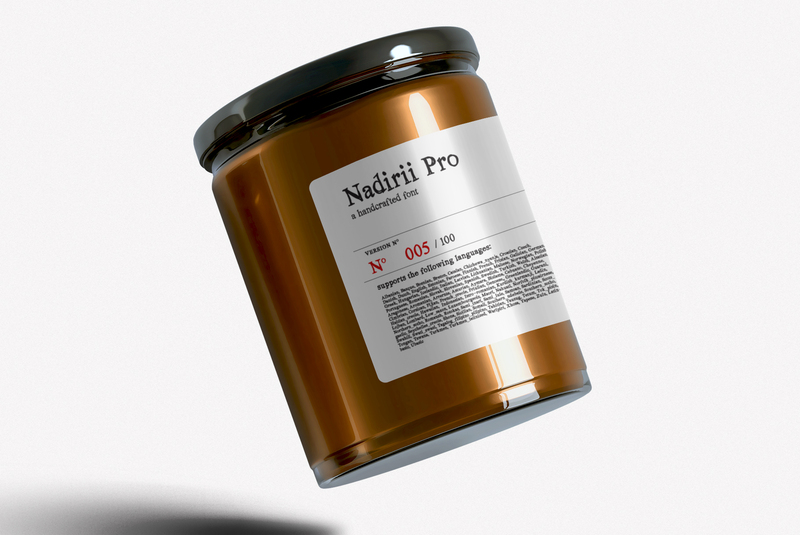 Nadirii Pro Font Handcrafted is a typeface with a nostalgic touch and the lost sibling of Nadira Pro Font ( you can find it here) This font with support for over 30 language can be a perfect match for all your food packaging projects and for branding your organic handcrafted products. 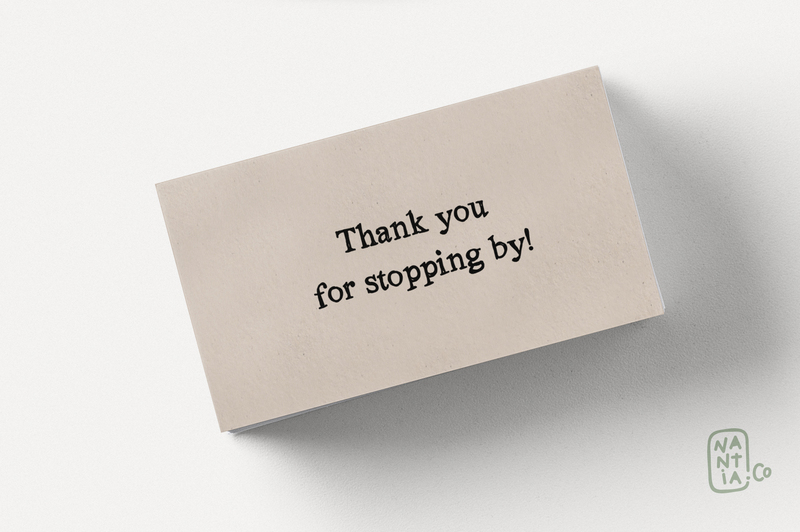 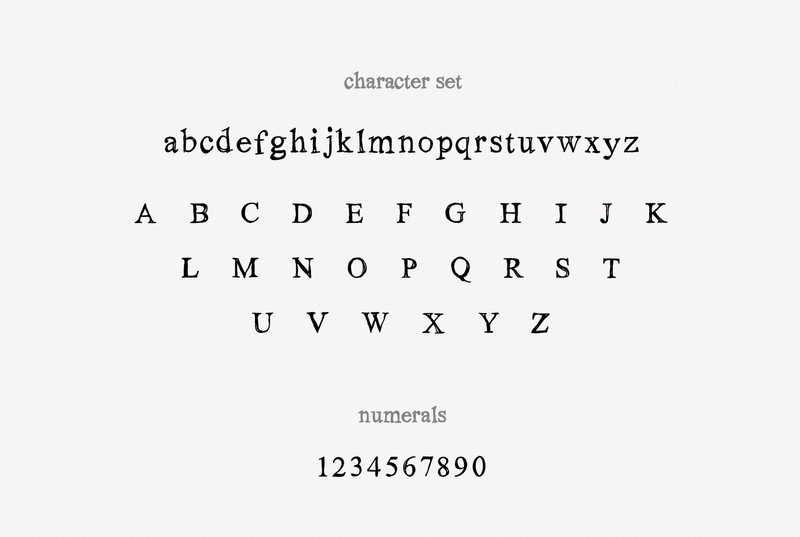 It can be ideal typeface for storytellers, too! 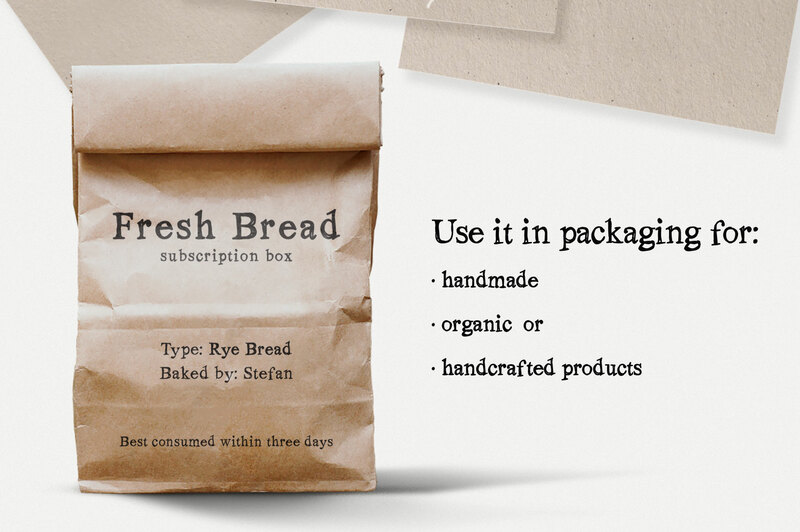 The crafty feeling of this font is pairing perfectly with illustrations and book covers.